John Montague was a boisterous enigma. In the 1930s, he was called “the world’s greatest golfer” by famed sportswriter Grantland Rice. He could drive the ball 300 yards and more, or he could chip it across a room into a highball glass. He played golf with everyone from Howard Hughes and W. C. Fields to Babe Ruth and Bing Crosby. Yet strangely, he never entered a professional tournament or allowed himself to be photographed. Then, a Time magazine photographer snapped his picture with a telephoto lens and police quickly recognized Montague as a fugitive with a dark secret. 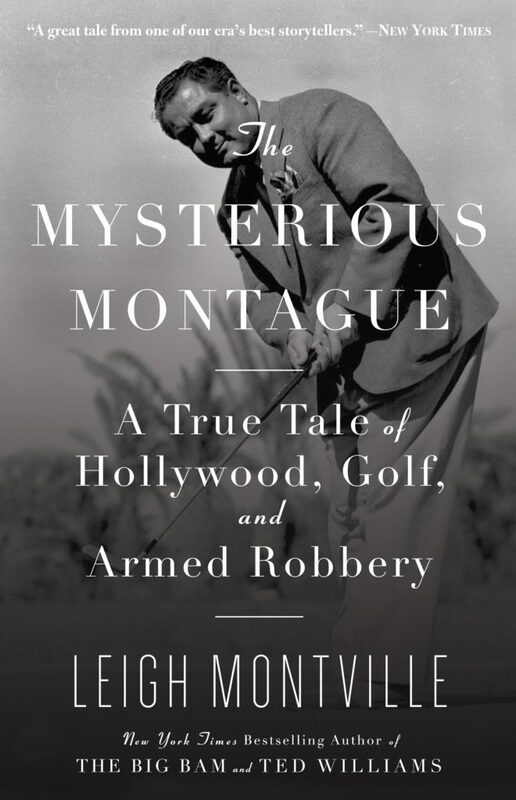 From the glamour of 1930s Hollywood, to John Montague’s extraordinary skill and triumphs on the golf course, to the shady world of Adirondack rumrunners and the most controversial, star-studded court trial of its day,The Mysterious Montague captures a man and an era with extraordinary color, verve, and energy. LEIGH MONTVILLE is a former columnist at the Boston Globe and former senior writer at Sports Illustrated. He is the author of five books, including the New York Timesbestsellers The Big Bam: The Life and Times of Babe Ruth, Ted Williams: The Biography of an American Hero, and At the Altar of Speed: The Fast Life and Tragic Death of Dale Earnhardt. He lives in Boston, Massachusetts.